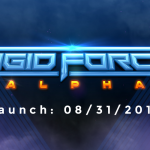 Now you won’t have to wait too long anymore: Rigid Force Alpha has reached beta status! 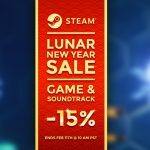 In a few weeks the game will finally be available on Steam. 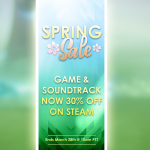 Of course we want to release a super stable and bug-free game – that’s why we decided to launch a short-term closed beta. And we are currently looking for additional helpers! Thanks to our friends over at alphabetagamer.com, we have already received quite a large number of registrations, but of course we also want to give our website visitors the opportunity to participate in the beta. Just click the following link and send us your details: https://bit.ly/2JmrXxF. We will continue to accept applications until Sunday, 10.06.2018, and then pick the most suitable candidates. We want to test the widest possible range of different hardware and player types. If you have any other qualifications, just let us know using the text box. We will contact all candidates next week. The test will probably start in the course of next week – whenever we have finished our preparations. 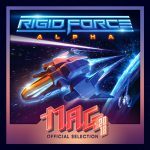 Rigid Force Alpha is currently 30% off on Steam! Meet us at MAG 2018! 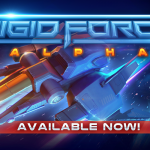 RIGID FORCE ALPHA: Now available on Steam! © 2018 com8com1. All rights reserved.